Virus is a true red fishmeal boilie which will work all season long. 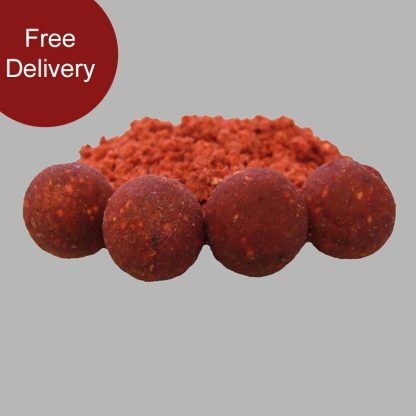 Utilising the finest ingredients and attractors avaliable. It has been through our extensive field testing program and has caught many fish to over 40lb from the U.K. Not to mention a string of big fish from foreign shores. Including some massive river fish. The Virus contains LT94, pre-digested fishmeals, salmon extract, whey proteins, calcium casseinate, veg proteins and a blend of special spices. In addition to an extremely effective feed stimulant that has come from the aqua-culture industry. 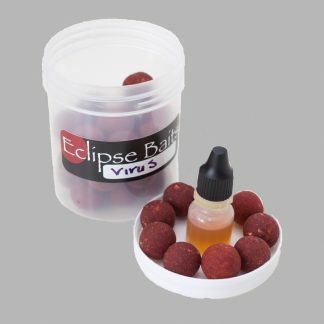 To match the virus boilies we have popups, wafters, hard hookbaits, glugs and fish gravy.